Omar Almokhtar's Daughter: Libyans Tasks ..............! 1:Freedom is an ongoing process.It must go on and on . Best of luck. 2.We Muslim Ummah need a LEADER .No comment on dictator . 3. 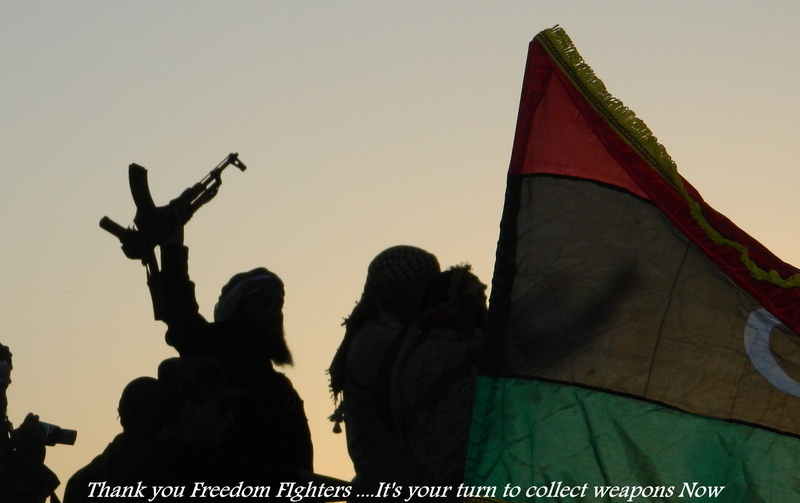 Guns should be dumb and every one should work hard and more hard for the progress of Libya .